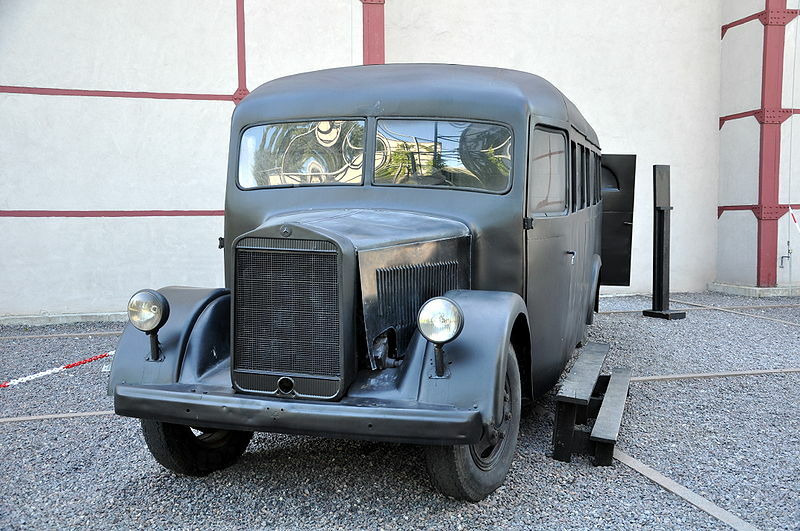 Reproduction of a black maria prisoner transport vehicle from the Katyn Massacre. Image from Wikipedia. Before, when I thought of dystopian societies, I always imagined an Orwellian scenario where the government controlled everything. 1984 the novel was mostly based on Stalin-era Soviet style government after all, where free speech didn’t exist and people were snatched up in the middle of the night by the NKVD in a black maria never to be seen or heard from again. It’s happened before, right? It could have very easily happened again. Orwell’s idea of the future was truly terrifying and some of it did come true. The government does use surveillance on its citizens. They change the facts all the time and people just forget. We are at war with Oceania one day and the next, we’ve always been at war with Eurasia. It turned out that it wasn’t as difficult to trick people into putting up with a dystopian society as Orwell imagined. You don’t need to threaten or apply violence at all. Orwell was right in concept, but he really couldn’t have been more wrong in his execution. Aldous Huxley was much closer with Brave New World. As long as people think they are happy, they will be happy. Happy people don’t complain. When I woke up after the accident, I was amazed. In only 20 years, we had gone from smartphones in our pockets to amplifiers on our teeth. We no longer have computers, we are computers. With flexible screen technology, computers are on and in everything we wear and own. Every human on earth can be tracked anywhere they go. Give people a cool new gadget and get them to check the box on the user agreement without even reading it, and you can track everything they do with their permission. As far as the news, well, nobody pays any attention. The news organizations all merged into one big fat conglomerate after The Sherman Antitrust Act was silently abolished. They still use all the old news corporation logos to make people think they were still independent news sources though. All the government had to do was rely on people’s natural tendency to want to believe that things that didn’t happen to them directly didn’t affect them. Most people don’t pay attention to the news anyway. If they do, they tend to find one news source and stick to it. And since all the news sources are the same, well, it was pretty easy to push the message. Once every piece of legislation like The Glass-Steagall Act that put any sort of regulations on the financial industry was well and truly quashed, the markets went crazy. Now the American dollar isn’t worth the piece of paper it’s printed on. Millions of people lost their homes, their jobs, their everything. The government’s solution? Drugs. They drugged the water. 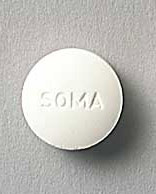 They even had the unmitigated balls to call it Soma, which is what Huxley called it in Brave New World. This all happened before I woke up again. Nowadays, people are just zombies. They don’t think for themselves anymore. They don’t question. They just follow whatever they’re told. They think they are happy. Me? Well, I’m on the run and have been for five years. I am off the grid. We all are. I know all of what I told you from an underground resistance group. They got me out. They have been protecting me ever since. We’re working on making it all public, but for that to make any difference at all, we’ve got to get people thinking again. That means cutting off the drug supply. We haven’t figured out how to do that yet, but we’re working on it. Posted in DPChallenge, fiction and tagged Aldous Huxley, Brave New World, Dystopia, fiction, George Orwell, Nineteen Eighty-Four. Bookmark the permalink. If you get the chance, you might enjoy reading “Winter Garden” by Kristen Hannah. The NKVD makes a pretty important cameo in the novel. On topic…you make a pretty frighteningly accurate portrayal the the direction we are headed (already in). Goldy, you are a superb writer, methinks. This turned out pretty good. Creepy. I don’t like smart phones. I still use an ancient cell phone that has been broken for 3 years lol. After reading your story, i never want to upgrade. Great writing. I agree, Brave New World nailed it, but I also believe in the power of will to overpower a society and its predestinations for us as we search for our own destiny. My favorite dystopian story therefore, is the movie Gattaca. I believe that a small minority has the power of will. Most don’t even care enough to try.